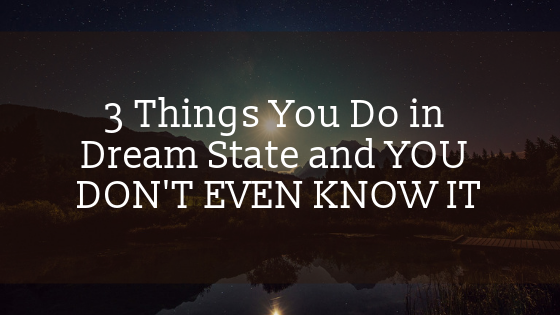 I'm going to be sharing with you three things you do every night when you go to bed and dream state that you're not even aware of and when you know these things, it changes the way that you relate to life in a completely new way. Today, I want to be sharing with you the three things that you think you're doing when you go to bed. In actuality, you're doing much more than that, but the more you become aware of who you are at a greater level, the more you will open yourself up to these types of things, the more memory you will retain from when you go to bed at night to how you do what I want to be explaining to you, which has to do with understanding the greater part of you because this experience on earth that we're having, we forget who we are at a greater sense. We forget that we are immortal. Spiritual beings live in temporary human experiences. And one of the reasons that are because those are the veil of forgetfulness. When we incarnate into the system, into this reality, we forget that because part of the beauty of this game is that we can go through the process of waking back up. In a way we do it, we go under this, this hypnosis of forgetting so that we can remember because that makes for a beautiful experience. Also, it's the way that this reality works. It's almost like if you were playing a video game and you knew the whole entire time it was a video game, you wouldn't have treated a certain way, you'd have a certain feel about it. But if you were to immerse yourself in a video game, not knowing whether it was real or not, well you're going to make decisions very differently than you would if you knew it was a game. That's one of the reasons we go through this veil of forgetfulness. And part of this has to do with simply because we wanted to go through the process of waking back up to who we are and right now on the planet, this is a time of waking back up to who we are. You may look around and notice that more and more people are waking up every day. More and more people are open to this kind of information and one of the reasons that are because there is an ascension of vibration happening on the planet. There were more people becoming aware that something is going on. And if you were to look to people and why they chose to be here right now at a greater soul level, people here knew that this was going to be the time of transformation at a greater level. 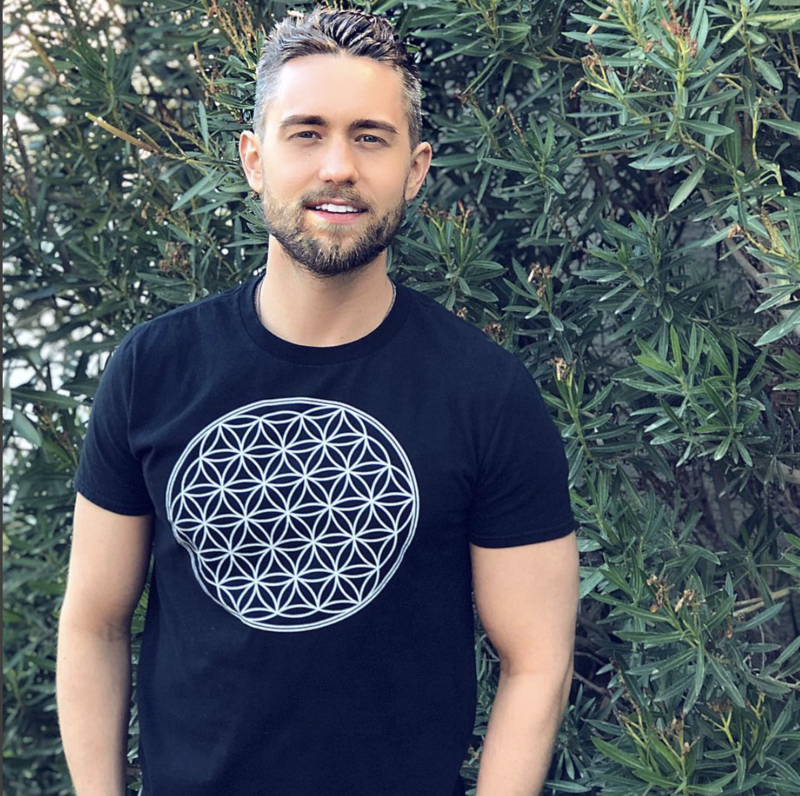 Everyone here knows that this is a time of transformation, but the ego mind may not understand it unless you are reading this blog that obviously you already with it and you're ready. Let's understand. First off that we are multidimensional and multidimensional means that we exist here, but we also exist in other reality systems as well. We have existences. They are things we can do there that here would look like magic. There are ways that we don't even use language to communicate because we just, you would use that as telepathy. There are reality systems weren't able to discern, operate and appear where ever we want by using the power of thought. There are realities where we think of something, and it instantly appears that's actually closer to the way reality really works. It's just that here the vibration is slowed down so that we can have more experience and matched in the higher dimensions. You're chilling, you think of something, it instantly happens. You can't really experience Karma because it's, everything is instant. Everything is moving at such a high vibration, so what you say is, you know what? I want to soak in the experience. When I think of something, I want to be able to go through the present moment, feel what it's like to manifest something and go through this process and you learn about the different angles and all of these different things. What we decided to do was to come to a place like earth where things have slowed down, but now things are picking back up. Vibrations are continuing to raise more and more. Understand first off that you exist here and you exist at many different levels at the same time you have existences and different star systems and just think about it like this. You already moral spiritual being that is timeless, that is eternal. Would you incarnate all of your energy and just one reality system like the earth just over and over and over again, year two vast of a being the even do that. That's why we have these existences at different levels and now on the planet. It's about us becoming aware of it. Here's the first thing that you do in a dream state that you don't even remember. When you go into a dream state, what happens is you go to bed, your physical body goes to sleep. You wake up in your astral body and higher dimensional bodies, you could say that it's almost like that Russian erasing those Russian dolls where it's like the different layers in a way. You go to sleep in one and you wake up as the larger part of you, which is actually closer to reality as well. You go to bed, then you are awakened. These higher dimensional states of consciousness and there you are much more aware of these different versions of you. You are much more aware of the parts of you that are multidimensional, that exists on higher states of consciousness and what you are doing is you are awake as those versions of you. You are going around doing different things at different levels, but you may not remember it because it has things also that may be beyond the five senses. We have the five senses that we experience reality through and we have the brain that can only really interpret things through past reference experience. If we were to know what it's like in the higher dimensions, it would be beyond that, of what we experience through our five senses here. And because of that, we may not actually even remember it. That's one reason we may not actually even remember it is because it goes beyond the five senses that we have right now. But when you go to bed at night, you are awaking and these higher states of consciousness, you just simply don't remember. You may actually be doing things, you may be traveling through the stars, you may be connected to a halt, your whole star family, you may be doing things. There are even the astral planes where you could be talking to people that have deceased from the past. You could be talking and helping other people that are many people that say they have dreams of being in a like a, a form of school. I've had many dreams like that before. We're here right now, but in higher states, we're also learning, going through certain processes, helping the collective wake up, influencing the subconscious mind of us and other people. Because as below, as above, so below. We go through these different connections and we literally wake up as this higher dimensional version of us that knows there is an ascension happening on the planet, the version of us that is connected to many different extraterrestrial races, which at a greater level, those extraterrestrial races we are connected to. Not just the metaphorical way like, oh we're all one. Yes, I get it. No, literally there are aspects of us that are connected there and we are connecting to them. This is a part of the way it really works is when we go to bed at night, we don't remember. And the more you become aware of this though. Set the intention. When you go to bed at night that you remember some type of memory from this even if it's a symbolic form because like I said, our brain and may not be able to understand what is happening at these higher levels. But, set that awareness and see what comes up, see what kind of information comes up, see what kind of information you get from your guides, which brings me onto the second thing you do every night when you go to bed that you may not be aware of. The second thing you do is you meet up with your guides. We all have spiritual guides. Some of these spiritual guides, maybe people that we've known in the past, they made people that have passed away on the earth plane. They may be extra-terrestrial connections that we have. They may be higher self-versions of us that we think are other spiritual guides but are actually other versions of us. When we look around, we experienced reality in a way to where we focused on what we have in front of us, but they're able to see on the mountain top. They're able to see the whole valleys. They're able to help guide us through this process. What you think of many times as dreams, when you go to bed, think about it like this. You are going to bed and when you go to bed you let your physical body rest. You leave your physical body. You didn't absorb into what is called your astral body and then you go off into the higher realms of consciousness. When you wake up in the morning, what happens is you come back physically speaking to that of your physical body. When you do so you go through that in the astral planes that are around the earth, and you go back into your body. What you think of as dreaming is only really the last about five minutes of you coming back into your body, but you may think, oh, I was dreaming for eight hours. Well, you were awake, awakened, higher dimensions, higher states of consciousness, and then you came into your body and the memories you get are going to end them. Dreams you get are going to depend upon your vibration. Many times if you set the intention, especially you will have dreams that show you some symbolic things. That's what I do when I go to bed. I set the intention that I connect with my guys and then my guides help me to understand something I'm working through in my life. Something that will help me to shift to an area of my life and I'll get some dream that's very obvious that it's like do this, this is what you can focus on. These are things we do every night when we go to bed, but we simply don't remember. And the third thing we do every night when we go to bed, but we don't remember is we literally are planning out appointments for our next day. This does not mean that every single thing is planned out the day before. Like me touching this plan and it was like a solid contract. This assault contract that happened for the day before and you knew what you're going to touch that plan out exactly whatever time it is. But in actuality, there are certain appointments that you make. Maybe you set this appointment that there's going to be someone that walks in at a certain time when you go to the gym or something and then you talk to that person. There is some opportunity when you're out and about and you just, you, you, you something pokes out at you, you look at a book and it really pops out at you. It makes you start thinking and it gets your, your mind on a new timeline. What we're doing when we go to bed at night, as we're planning out certain timelines, certain experiences that we want to have, and sometimes certain things won't catch. Sometimes you'll have a certain appointment that you made, but you have free will. Maybe you don't actually experience that, but what's your guides will do and once your higher self will do, and what you'll do in dream state has helped to facilitate probabilities? Well, maybe we'll plant this thought. You know, there are times we get downloads throughout our data from our guides, from higher dimensional beings and we'll get these ideas that we don't know where they come from. These ideas come from higher dimensional states. They come from our higher selves and those may actually lead us to certain timeline probabilities. These are things that we do when we go to bed at night is we pay attention to these different probabilities. Maybe it's you and a soul contract with someone that you're meant to be within your life. That soul contract you said we're going to be together in some way and you haven't met this person yet, but in the higher realms you're planning out. If you simply trust the process more, you'll allow yourself to then plan out and see that you'll be at the coffee shop at the right time when they walk in. I know that it's the most stereotypical way of looking at it, but it could be something like that or some a friend introduces you to this person or maybe it's some type of career or job that you know that you're meant to be happy, that you're meant to be shifting in your life. And then he'd go out somewhere and somebody that owns a company starts talking to you and you start to hit it off and then you have a new job opportunity. You see, in a way, if we trust the process more and we understand this process. When we go to bed at night, we will realize that we are also planning out certain things for that of our life, certain appointments, but the keys to be in alignment, to be in alignment with our hearts. Being in alignment with, we're passionate about and just simply knowing this, simply knowing that you are, you need mortal spiritual being, living a temporary and with human experience that this is an Avatar that we experienced the five senses. Through knowing that that allows us to then tap into more of our true power. It allows us to raise our vibration to a new state of consciousness then and knowing that everything is exactly how it should be. Everything is a part of the plan. But understand every single night when you go to bed, you are awake to a part of you that you can barely begin to imagine. This is very, very empowering. The more you become aware of this divine you because you are divine, you are a divine human being, and you are a spiritual being having this kind of experience, the more you realize you are divine, the more your life will appear to be heaven on earth. Understand that you are a divine being and that you came here for a reason and you're becoming more aware of who you are now and now that you know these things, when you go to bed at night, there's a possibility at a probability that you will remember more of this. Set the intention before you go to bed to know this. Set the intention to connect with your guides, set the intention to receive information throughout the day and you will begin to get more and more information on this. These are the three things you do every single night. When you go to bed, you are awake and higher states of consciousness. You are with your guides, your guides are helping you to certain processes, helping you to move through three sittings and then at a higher level as well. The third thing you're doing is you are literally planning out different appointments you've made to shift different timelines.